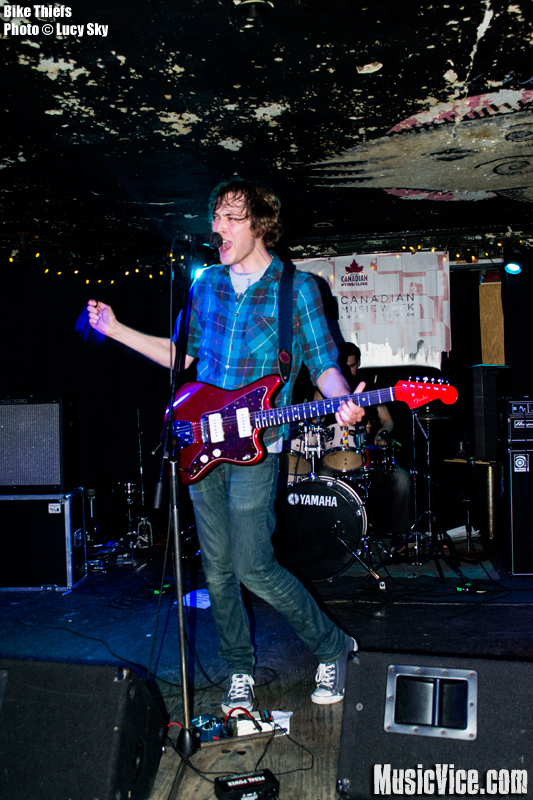 Mississauga’s own three piece band Bike Theifs filled Sneaky Dee’s with their raw, grungy sound for Canadian Music Week. He put on quite the performance for the small crowd that came out. The lost look in his eyes was engaging as he threw himself around the stage like a ragdoll, still managing to maintain the crassy vocals and down-strumming, 90s punk guitar sound. The howls in his voice could wake a sleeping bear and the rasp gives off the idea that he’s been smoking longer than he’s been alive. The transition between the two and moreover, the crazy, energetic sound straight into normal conversation with the crowd were seamless. While most bands featured in Canadian Music Week tend to express their thanks for being there, this time it was ever so sincere. Thanking everyone that came out, the organizers of the festival, the venue and one by one complimenting each band and member on specific aspects of their music and personalities. 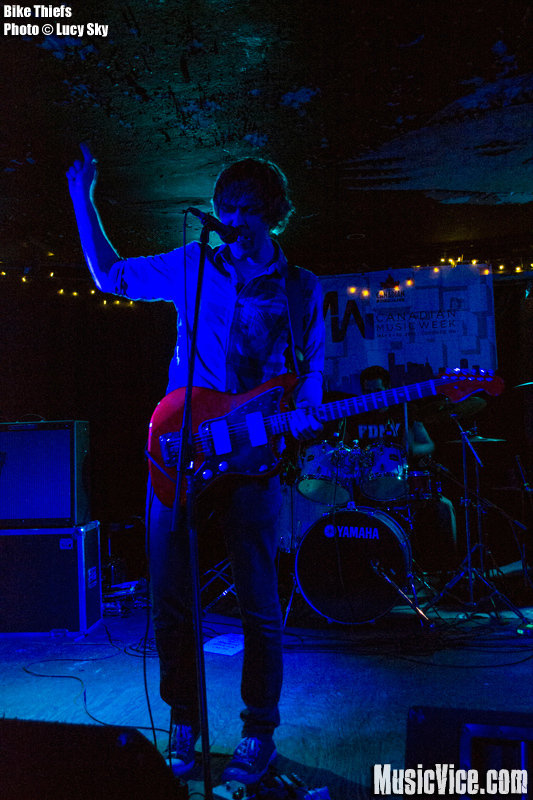 With a digital CD available on bandcamp and multiple shows coming up through the GTA this summer, the band has started down a bright looking path.